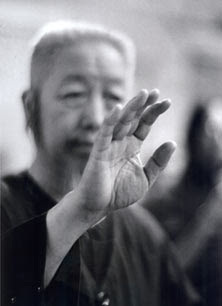 Professor Cheng Man Ching - Image copyright of Ken Van Sickle. Cheng Man-Ching left us TCC practitioners with a treasure trove of insight into the TCC Classics. For example, he advocated “beautiful lady's hand,”“no arms in TCC (NAIT)”, and “investment in loss,” all of which are as important and beneficial as they are profound, counterintuitive, and often perplexing. Let me tackle NAIT here.